Also known as BOTOX® Cosmetic, Dysport®, Xeomin, or Botulinum Toxin Type A is a popular nonsurgical option for facial rejuvenation. Botulinum toxin (Type A) is a nonsurgical cosmetic injection that blocks the nerve signals that cause muscles to contract. This effect relaxes and smooths the look of lines and wrinkles caused by repetitive movements on the face—most commonly, between the brows, crows-feet around the eyes, and horizontal forehead creases. 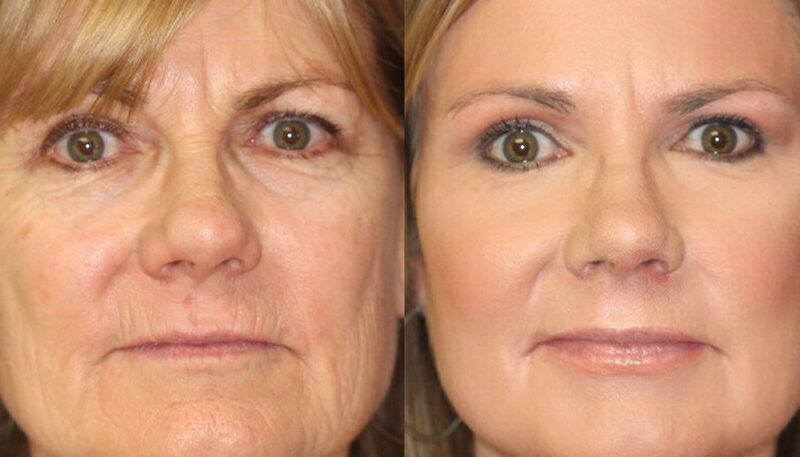 Botulinum toxin is also used cosmetically to balance facial asymmetry and relax tight neck bands, as well as medically to reduce perspiration and to treat migraine headaches and muscle spasticity. Deep lines between your eyes make you look tired, angry, sad, or upset. Your facial expressions cause wrinkles in and around your eyes and forehead. There is asymmetry in your eyebrows or face that can be corrected by relaxing a muscle. You suffer from migraine headaches and botulinum toxin may provide relief from this condition. Injections are relatively painless and carry a low risk, with little-to-no downtime. These are the top three pros and cons to weigh when considering botulinum toxin. If you wish to focus on what is unique to you, please consult with your aesthetic plastic surgeon. Are you a good candidate for botulinum toxin injections? Certain wrinkles or creases in the face caused by the weakening or sinking of the soft tissue, such as the nasolabial folds, which extend from the sides of the nose to the corners of the mouth, are generally best treated with fillers, fat grafts or surgery (although occasionally botulinum toxin is used to soften or partially improve them). How is a botulinum toxin procedure performed? Botulinum toxin injections can usually be completed on the same day as the initial evaluation. They do not require hours to perform or days to recover. Once you and your surgeon have decided on an appropriate treatment, he or she will prepare you and the medication for the procedure. The injection site will be cleansed and will usually not require anesthesia prior to injection. The needles used are very short and thin, causing minimal pain. Depending on your specific concerns and condition, a number of injections will be needed to achieve the desired result. Slight pain, short-lasting swelling, and minimal redness and bleeding will likely occur as a result of your procedure. Once the neurotoxin has been injected, it will take several days to reach full effect and a follow-up visit is often scheduled weeks to months after the initial injection. In the hands of an experienced injector, such as a board-certified plastic surgeon, your procedure will seem simple and you will experience minimal discomfort. The injector’s understanding of the muscles in the face and body is essential for a safe and successful procedure. What are my Nonsurgical Options? BOTOX® Cosmetic is widely recognized and was the first neurotoxin to be FDA-approved for cosmetic use in the United States. Other brands, such as Dysport® and Xeomin, are also used for cosmetic reasons and share many of the same attributes as BOTOX® Cosmetic, but may vary in dosage, propensity to spread, time of onset and duration of action. Your plastic surgeon and/or injector will help you determine which botulinum toxin will be best for you. A realistic, open discussion with your surgeon should occur before proceeding and is important in achieving a good result. It is critical to discuss your specific concerns and your overall objectives to help determine if botulinum toxin will be a benefit to you. Once this conversation occurs, your surgeon will obtain other relevant medical information. It is very important to disclose the recent or chronic use of NSAIDs such as aspirin, ibuprofen (Advil or Aleve), anticoagulants or blood thinners. How the injections will be performed. What can be reasonably expected of the procedure. 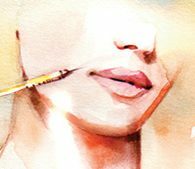 Advantages and disadvantages of alternative treatment options, including the use of fillers, fat grafts, surgery, skin resurfacing or chemical peels. Possible complications of botulinum toxin. Once the evaluation and discussion are complete your consent will be obtained. Your surgeon will encourage you to ask questions and will give you honest answers about the procedure. Photos may be taken to document your condition and appearance before and sometimes after the treatment. Am I a good candidate for botulinum toxin? Do you recommend numbing cream? 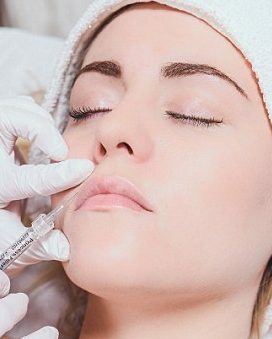 How do I prepare for a botulinum toxin procedure? Although botulinum toxin injections are generally low-risk and do not require the intensive screening of a surgical procedure, you should always disclose a full medical history and any medications you are currently using to your plastic surgeon. Regardless of the type of procedure to be performed, hydration is very important before and after treatment for safe recovery. Your doctor or injector may ask you to stop smoking at least six weeks before your procedure. You have had botulinum toxin injections in the past. You are using NSAIDs such as aspirin, ibuprofen (Advil or Aleve), anticoagulants or blood thinners. You are taking muscle relaxants, allergy or sleeping medication. Some medications could cause complications, bleeding or extra bruising. Find out if you need to discontinue or skip the medications for several days before your procedure to prevent any problems. After the injections you can return to your regular activities immediately; however, strenuous activity is discouraged for the remainder of the day. Redness and swelling that occur at the time of injection usually resolve quickly. Any bruising that might occur will usually resolve over a week or two. Avoid massaging or touching the injected area afterwards; this may inadvertently cause the botulinum toxin to spread to an unintended area. Lying down or inverting the body shortly after injection can also cause complications. Avoid strenuous or vigorous activities for the rest of the day. Ask or call the office before taking painkillers or medication. How Long Will the Results of the Nonsurgical Options Last? Depending on your age, skin condition and habits, effects of botulinum toxin could last anywhere from three to six months. A follow-up appointment in weeks or months may be scheduled after the injection for re-evaluation, touch-up or additional treatments as indicated. You are of course encouraged to schedule your own follow-up sooner if you have any questions or concerns. Because the effect of the botulinum toxin is not permanent, it is best to develop a good relationship with your plastic surgeon and set a schedule for additional injections. 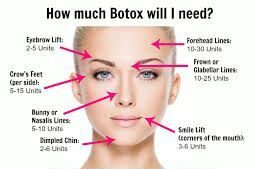 The cost of botulinum toxin injections varies greatly and depends on a number of factors, including the number and location of the areas to be treated. Charges may be determined based on the amount used or simply the areas of the face treated. For example, treating a large body area, such as the under arms, will require much more medication than in the face. A discussion with the surgeon or his staff concerning costs is important before any treatment is begun. The surgeon’s policy regarding the cost of touch-ups within weeks of the initial injection should also be explained to the patient. Because botulinum toxin injections are elective nonsurgical options, insurance does not cover the costs. Many surgeons offer patient financing plans to make the procedure more affordable. The practice of Michael P. Vincent MD FACS participates with CareCredit. Click on the Logo for more information. However, if you are prescribed the injections to reduce perspiration, or to treat migraine headaches or muscle spasticity, the costs may be covered, and you should check with your plastic surgeon or injector. See why ASAPS members are widely recognized for upholding the highest standards in the area of aesthetic plastic surgery for both surgical and nonsurgical options by viewing their basic credentials, training, and certifications. Redness, irritation and swelling at the injection site. In rare instances, patients may experience dry mouth, headache, dizziness, nausea and fever. If you have a symptom that is more serious, such as a rash or trouble breathing, please call your doctor immediately. You can help minimize certain risks of these nonsurgical options by following the advice and instructions of your board-certified plastic surgeon, both before and after your botulinum toxin injection. Fillers are administered with a syringe to various areas on the face and head, including around the eyes, along the jaw, around the lips and in the forehead. The number, location and depth of the injections depend largely on the type of dermal fillers used and the desired results. Some fillers contain a local anesthetic like lidocaine to enhance comfort during injection. Numbing cream may also be used. What are my Filler Nonsurgical Options? Members of the American Society for Aesthetic Plastic Surgery are experienced and qualified to perform your aesthetic procedure. Learn how to Select an Injector. Before going for a consultation, it would be a good idea to read the Injectable Safety Planning Guide. Click on Safety Guide below for more information. Make sure the benefits and risks are fully explained to you in a patient consultation. Plastic surgeons use the consultation process to educate patients about the proposed procedure. Every procedure has inherent risks and benefits; the hallmark of informed consent is the understanding of risks and benefits, and realistic expectations. Fully disclose any medical conditions you might have, and medications you are taking including vitamins and over-the-counter drugs. This information will help your clinician select the most effective procedure for you, with the fewest side-effects. Any injectable should be administered in an appropriate setting using sterile instruments. A non-physician who is appropriately licensed and trained may perform the injections under the supervision of a qualified plastic surgeon or dermatologist. Malls and private homes are not medical environments and may be unsanitary. Know what you are being injected with. Disturbing reports of patients being injected with everything from liquid silicone to baby oil and other unapproved products are appearing in the press on a regular basis. Make sure your clinician is using only FDA-approved products purchased within the United States. If he or she refuses to give you this information, seek another clinician. The position of the Aesthetic Society is that injectable fillers are medical procedures and should be performed only by qualified clinicians in an appropriate medical setting. Collagen-Based Fillers: Results will last from two to four months. Hyaluronic Acid-Based Fillers: Results vary, though results of most common brands will last six to twelve months. Semi-Permanent Fillers: Results will last between twelve and eighteen months. Permanent Fillers: Results are typically still visible after five or more years. Filler injections are elective treatment, so insurance does not cover these costs. Many surgeons offer patient financing plans to make the procedure more affordable. The practice of Michael P. Vincent MD FACS participates with CareCredit. No anesthesia or sedation is needed. Your treatment may be performed by a licensed skincare professional in plastic surgeon’s office, but in our office, all nonsurgical options including facial peels are personally performed by our plastic surgeons. Peels involve the application of a chemical solution to your entire face or just to certain regions, such as the crow’s feet area around your eyes or the vertical wrinkles around your mouth. The chemical solution is either applied lightly or rubbed more vigorously onto the skin being treated using a sponge, cotton pad, swab, or brush (avoiding your brows, eyes and lips). During peel application, you may experience a slight tingling (light to medium peels) or a burning sensation (deep peels). These sensations are usually minimal for light and medium peels but are more severe for deep peels. The length of time the solution is allowed to work is determined by carefully observing the changes in the appearance of your skin. 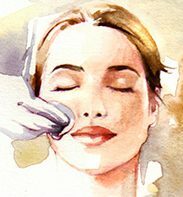 With certain types of chemical peels, the solution may be “neutralized” after an appropriate amount of time has elapsed. Chemical peels exfoliate dead cells and can improve texture, acne, sun damage and congested pores. Deeper peels can address wrinkles and uneven skin tone. 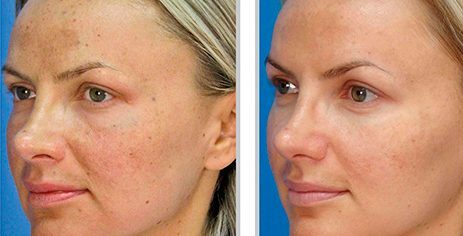 What are my nonsurgical options for facial peels? Your options will depend on the treatment depth you require and your surgeon will recommend an approach based upon your aesthetic goals. The amount of time you can allow for recovery may be an important factor to consider when selecting a particular chemical peel or determining the extent of treatment. Generally, the most superficial peels are those using alpha hydroxy acids (AHA), such as glycolic, lactic or fruit acid. AHA peels can reduce the effects of aging and sun damage including fine wrinkling and brown spots. Sometimes a single treatment with an AHA peel will give your skin a fresher, healthier appearance and a radiant glow. No anesthesia is needed and you will only feel a tingling or mild stinging sensation when the solution is applied. Immediately after the procedure, you generally will be able to wear makeup and you can drive yourself home or back to work. Various concentrations of an AHA may be applied weekly or at longer intervals to further improve the texture of your skin. Your surgeon may recommend a maintenance program using AHA products that you can apply at home on a regular basis. A TCA peel is a stronger, medium depth peel. TCA peels are often used for the treatment of wrinkles, skin pigment changes and blemishes. Many patients can benefit from having TCA applied not only on the face but also on the neck and other parts of the body that have been exposed to the sun. For spot peeling of limited areas such as around the mouth or eyes, TCA formulas are often preferred because they have a reduced bleaching effect compared to solutions containing phenol, another popular peeling agent. Some surgeons have found TCA to be effective in treating darker-skinned patients. Milder TCA peels can be repeated frequently in order to achieve cumulative effects or TCA can be used to achieve a medium or even a deep peel, depending on the acid concentration and manner of application. A phenol peel is a deep peel that is sometimes recommended for treating severe wrinkles (from fine lines to deep creases), sun damage, uneven skin tone and texture and may be used in the treatment of precancerous skin conditions. Phenol is particularly useful for minimizing the vertical lines that often form around the mouth as a result of aging. Deep peels take longer to perform and will leave a healing crust on the skin that must be covered with protective ointment and limited from sun exposure. There is a burning sensation, but it is relieved somewhat because the solution also acts as an anesthetic. Phenol often has a significant bleaching effect and you may need to wear makeup in order for the treated portions of your skin to more closely match the skin color of the surrounding areas. Phenol cannot be used on your neck or other parts of your body. The effectiveness of phenol chemical peeling has been proven in clinical studies over the last 30 years. Because this is a serious procedure, it is ASAPS’ position that phenol chemical peels should only be performed under the direction of a qualified physician. Croton oil enhances the penetration of phenol and the depth of the peel. Croton oil peels are used to treat severe wrinkles caused by sun damage and extensive acne damage. The ideal patient has fair, dry skin. The application of this peel is painful, and intravenous sedation or general anesthesia is usually necessary. Patients are usually pain free the following morning. There have been tremendous improvements in the formulations for phenol/croton oil peels that have made them safer than ever before. 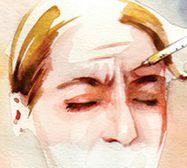 What are the brand names for chemical peels? Members of the American Society for Aesthetic Plastic Surgery are experienced and qualified to perform your cosmetic surgery and nonsurgical options. Learn how to select a surgeon. After finding a board-certified plastic surgeon in your area who is experienced in performing the many nonsurgical options like chemical peels, you will need to make an office appointment to set up your consultation. Generally, because of the in-depth nature of the consultation, there is a cost associated with the initial visit. During your initial consultation, you will have the opportunity to discuss your cosmetic goals. Your surgeon will evaluate you as a candidate for a chemical peel and clarify what it can do for you. Understanding your goals and medical condition, both alternative and additional treatments may be considered. Additionally, it is important to tell your surgeon if you have ever had x-ray treatments of your facial skin, such as those used in the treatment of acne or if you have had a chemical peeling procedure. Current or past use of Accutane (isotretinoin), as well as Retin-A (tretinoin) and other topical skin preparations, must be reported to your surgeon. Options for anesthesia and treatment location. Am I a good candidate for the nonsurgical options like a chemical peel? Are the results of the nonsurgical options that I am seeking reasonable and realistic? 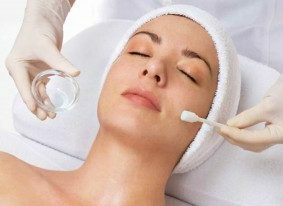 How do I prepare for a chemical peel procedure? Your surgeon will provide thorough pretreatment instructions, answer any questions that you may have, take a detailed medical history, and perform a physical exam to determine your fitness for treatment. Depending on the depth of your chemical peel treatment, you may be placed on a pretreatment program during which you will apply special creams, lotions or gels to your skin for a few weeks or longer. If you have a history of herpes infections around your mouth, your doctor will prescribe an antiviral medication before and after treatment to prevent viral infection. You may also be given certain oral medications that you should begin taking prior to your treatment. 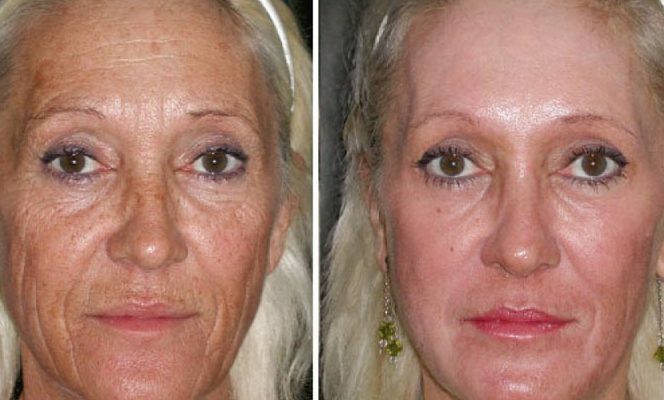 Stop smoking at least six weeks before undergoing the chemical peel to promote better healing. Regardless of the type of treatment to be performed, hydration is very important before and after surgery for safe recovery. 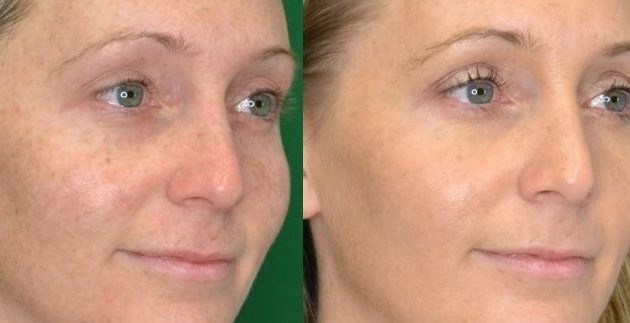 Chemical peels are usually performed on an outpatient basis. If you have a deep peel be sure to arrange for someone to drive you home after treatment and to stay with you at least the first night following treatment. *What can I expect on the day of a chemical peel treatment? A light or medium chemical peels is often performed in an office-based setting. Generally the procedure takes about 30 minutes to an hour. No sedation or anesthesia is needed. A deep chemical peel may be performed in an accredited hospital, free-standing ambulatory facility or office-based surgical suite. Most chemical peel procedures take at least 30 minutes to two hours to complete but may take longer. Depending on the type of chemical peel chosen and the area treated, local anesthesia may be adequate; however, for larger areas, sedation or general anesthesia may be recommended. You will be permitted to go home after a short observation period unless you and your plastic surgeon have made other plans for your immediate post-treatment recovery. Following all chemical peel treatments, it is important to avoid direct or indirect sun exposure until all the redness or pinkness of your skin has subsided. Even after that, it is advisable to protect your skin by regular use of sunscreen and, whenever possible, a wide-brimmed hat. This is particularly important if you have had a phenol peel which eliminates your skin’s ability to tan. If the area around your eyes has been treated, you should wear good quality sunglasses when outdoors. After some types of chemical peel treatments, you may need to be careful about exposing your skin to chlorinated water. For deep peels, your treated skin may be covered with petroleum jelly or other protective ointment and, in some cases, dressings may be applied. You may have some pain, particularly with the deeper peels. If the pain is extreme or long-lasting, contact your physician. You will also have some redness and swelling after the surgery. Contact your surgeon to find out if your pain, redness and swelling are normal or a sign of a problem. Your recovery will depend on the technique and depth of treatment. A more superficial treatment will have no down time and you can return to your normal activities immediately. A deeper peel will involve a more prolonged healing period. You will be advised about cleansing your skin and if you should apply any ointments. For men who have undergone resurfacing procedures, shaving must be delayed for a while. Depending on the post-treatment regimen selected by your surgeon, a scab may or may not form over the treated area in medium and deep peels. For deeper peels, your wounded skin may be moist and ooze serous (“clear watery”) fluid. Depending on the depth of the peel you might have, swelling and redness will gradually change to pink, signalling that your new skin has begun to form. Your skin may still be pink. Your skin tones will begin to blend naturally. Your surgeon will advise if camouflage makeup can be used. How long will my results from a chemical peel last? Because of the persistence of skin pinkness following deeper chemical peel procedures, it may take months before you can fully appreciate your new look. Most patients feel that the results are definitely worth waiting for and, in the case of deeper treatments, the benefits are relatively long-lasting. Superficial resurfacing procedures may need to be repeated periodically in order to maintain their benefits. Your skin will continue to age, and wrinkles caused by movement of your facial muscles will eventually reappear. Some wrinkles may recur sooner than others, depending on their location as well as the type and extent of your chemical peel treatment. Despite this, you can expect that improvements in skin quality and texture achieved by a chemical peel will make your complexion appear younger and fresher for many years to come. Maintain a relationship with your aesthetic plastic surgeon when it comes to surgical and nonsurgical options. For safety, as well as the most beautiful and healthy outcome, it’s important to return to your plastic surgeon’s office for follow-up evaluation at prescribed times and whenever you notice any changes in your skin that has been treated. Do not hesitate to contact your surgeon when you have any questions or concerns. The cost of chemical peels varies from the type of peel, from doctor to doctor, and from one geographic area to another. Because chemical peels are elective nonsurgical options, insurance usually does not cover these costs. Occasionally, however, if the peel is being performed to treat precancerous skin conditions or improves certain types of scars, insurance coverage may be available. Your plastic surgeon’s office will explain how you can find out from your insurance company if a particular procedure will be covered. Many surgeons offer patient financing plans to make the nonsurgical options more affordable. The practice of Michael P. Vincent MD FACS participates with CareCredit. See why ASAPS members are widely recognized for upholding the highest standards in the area of cosmetic surgery and nonsurgical options by viewing their basic credentials, training and certifications. Fortunately, significant complications from chemical peels and other nonsurgical options are infrequent. Your specific risks for chemical peels will be discussed during your consultation. You can help minimize certain risks by following the advice and instructions of your board certified plastic surgeon, both before and after your chemical peel treatment. There are other nonsurgical options to chemical peels including laser resurfacing, dermabrasion, Fractional laser treatments, and other laser and light treatments. We would be glad to discuss the pros and cons of each nonsurgical option.